If you are arrested for driving under the influence (DUI) in Maryland, you are probably worried about losing your license, heavy fines, or even jail time. But if it’s a second or third DUI, then you should strongly consider fighting the charges. If you need help beating a DUI charge, call the Law Offices of Todd K. Mohink, P.A. We are here to help and have offices conveniently located in Glen Burnie and Columbia to better serve you. What Counts as a Second DUI Offense in Maryland? If you had an alcohol or drug related driving offense within the past 5 years, your DUI will be considered a second offense. A second offense will carry much steeper penalties than a first offense. When Should You Fight Your Charges? There’s a time to fight and a time to accept a plea agreement. In general, with second and subsequent DUI charges, the stakes become much higher. Therefore, it is often in your best interests to fight your charges by hiring an experienced DUI defense lawyer who can work to ensure that the process is kept fair and just. There are often a number of ways a creative and experienced defense attorney can help you fight your DUI charges. For example, your attorney will request copies of all evidence the government has against you. This will usually mean the video footage, breath or blood test results, and the officer’s written statement about what occurred. Your attorney can then look for ways the police may have made mistakes in how they handled your arrest. Sometimes police do not really have probable cause to make a stop. Or, they may not have a legal reason for searching the vehicle. But even if everything was done by the book, an attorney will generally have better success negotiating a deal on your behalf and may even be able to help you keep a restricted license so you can get to work or school. If you are facing a multiple DUI charge, call the Law Offices of Todd K. Mohink, P.A. in Maryland today to speak with an attorney. 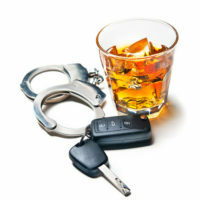 Don’t take a deal until you have consulted with an experienced DUI lawyer first.